Whilst I wasn’t the biggest fan of Black Ops I was impressed with some of the innovations compared to previous games in the Call of Duty series. One such innovation was the introduction of a crossbow as a secondary weapon. I found great amusement in launching cross-map (“spawn snipes”) with this all new weapon, particularly in search & destroy. 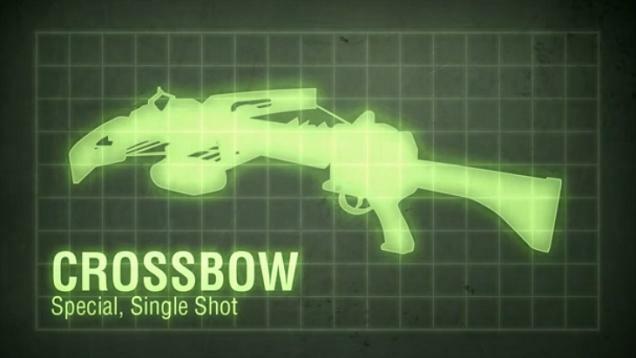 I am sure I won’t be the only person who is pleased to note the crossbow returns for Black Ops 2. However, it gets better. There were two major issues with the crossbow as a weapon choice. Firstly, you only had two bolts (or arrows, whatever you want to call them) and, secondly, it took a lifetime to reload the weapon. Both of these have been addressed for Black Ops 2. As you can see in the following video, the Black Ops 2 crossbow now gets a total of 6 bolts and reloading is now much quicker. This is because the bolts appear to be pre-loaded in some kind of chamber, removing the need for an elaborate reloading animation. In addition, the crossbow now has the option of attachments… one of which gives you the ability to fire 3 bolts at a time. If you’re looking for information on how to get Black Ops 2 on release day, including the best pre-order deals, check out this post.